The Global Entrepreneurship Monitor research program was designed as a comprehensive assessment of the role of entrepreneurship in national economic growth. 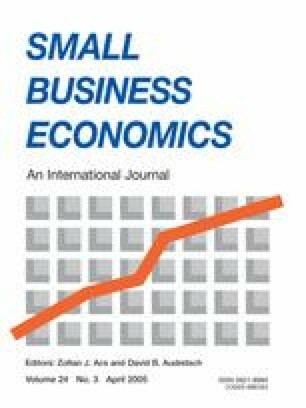 The conceptual model reflected in a wide range of factors associated with national variations in entrepreneurial activity and the major contextual features. Empirical tests of the many relationships in the model required four major data collection activities: adult population surveys, unstructured interviews with national experts, self-administered questionnaires completed by national experts, and assembly of relevant standardized measures from existing cross-national data sets. Adult population surveys were implemented to identify those entrepreneurially active, which required a set of precise criteria and careful processing to ensure harmonized counts and prevalence rates across 41 countries. Existing evidence on measures of reliability indicates that the measures met contemporary standards and the project was cost-effective.